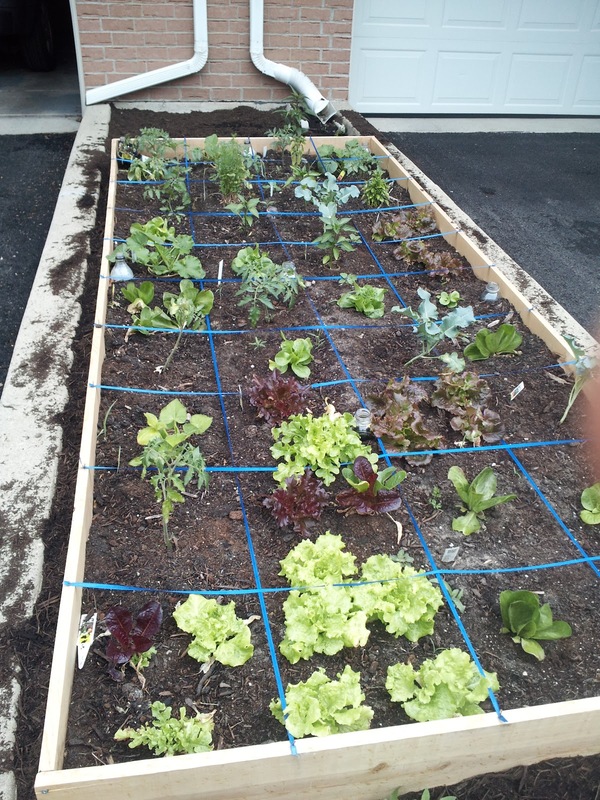 Now that there's snow on the ground, it might be an appropriate time to revisit my first attempt at square foot gardening. When all was said and done, I believe I invested roughly $120 in this little experiment. That includes building supplies, plants, dirt and gardening tools. I don't think I harvested enough produce to offset the costs in the first year. However, I believe next year when I only have to worry about the cost of the seedlings and a bag or two of replacement compost, I should come out ahead on this endeavor. Once I built the square foot garden and planted all the seedlings, it was incredibly low maintenance. I only watered it during the height of our heat wave and didn't need to weed or fertilize (although I might have gotten better yields with some worm tea). Despite living near a nature preserve, the animals left this alone all summer. A few weeks ago, I pulled all the planted, removed the dividers and tilled the dirt so it's ready to go for next year. Time wise, I believe it took me about two hours to build it, two hours to plant and fill it and then another half an hour to remove it at the end of the season. 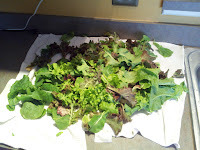 During the height of the summer, I had a salad every day from my garden. It's surprising how much food a 4 by 9 garden bed can produce. 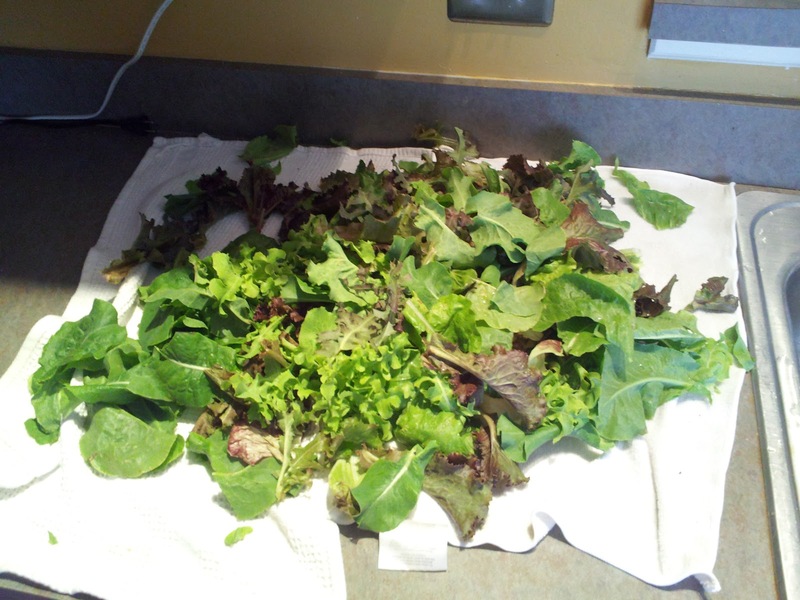 What I appreciated about growing it myself was that the lettuce was a better quality than what I could buy at the store and I wasn't throwing away a ton of stuff that spoiled before I could eat it. I'd just go outside and pick what I would eat that day. I also had a few squash and zucchinis, as well as a healthy amount of tomatoes and herbs. The peppers, both green and jalapeno, did not do very well. Plant the zucchini and squash outside of the garden grid to make them easier to manage. Plant more tomatoes in different varieties. Use tomato cages, for goodness sake. By the time I realized I needed these, it was too late. Stagger the planting of the lettuce. 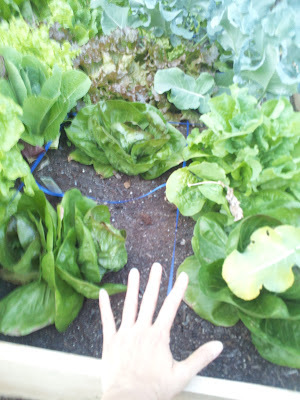 I had an explosion of lettuce one week. I love a good salad, but I don't really want a salad at every meal to avoid wasting the produce. Omit the soda bottle irrigation system. I didn't need to water all that often and it turned out to be an eyesore and a waste of space. Plant jalapenos only and plant them near the tomatoes. Green peppers just don't work with my soil or climate. Or maybe it's just me. Spread out the tomato plants throughout the planter rather than just in the row closest to the house. Otherwise it gets a little wild back there. I am envious of your beautiful little garden! My dream is to have a garden that I can literally create a salad from right then and there. I really envy your garden! I would love to grow my own produce - it's so much healthier and tastier. I do have a little window-side herb garden and it's so much fun having fresh basil on hand!!! 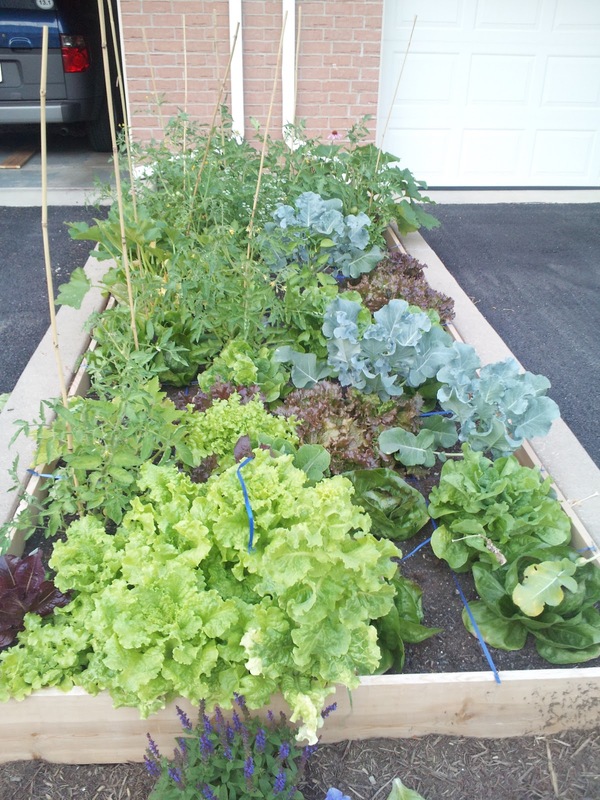 Wish I had a backyard where I could try growing fruits and veggies!